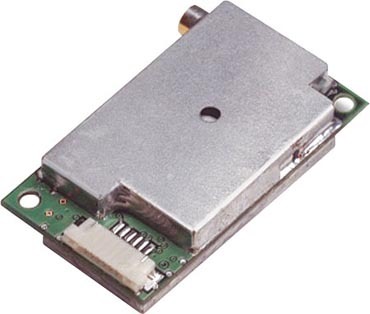 The GPS 15x is a small, versatile high-sensitivity sensor designed for a variety of OEM applications, including car navigation, wireless communication, marine navigation and mapping. Roughly the size of a commemorative stamp, the GPS 15x weighs approximately 10 grams and works well for applications with limited space. The GPS 15xW replaces the GPS 15W. The GPS 15x has a CMOS level, UART-compatible asynchronous serial port, offers a wider input voltage range than its predecessors, and can be updated with the latest firmware from our website. The GPS 15x offers excellent EMI/RFI performance, so you can use it near mobile computing devices and wireless communications equipment without worrying about interference.